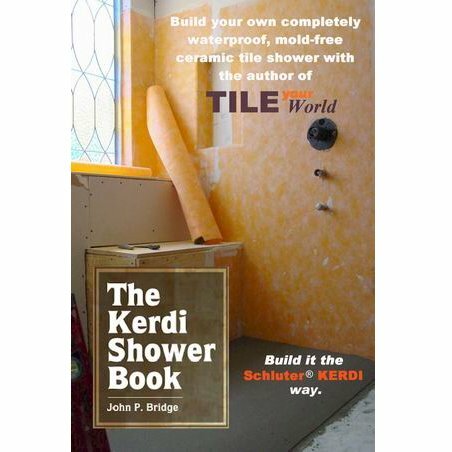 Over the past four years we have seen a significant increase in both interest and use of the Kerdi shower system, especially with the DIY non-professional member set on this Forum. During the past three months alone (Jun., Jul., Aug., 2007) we've had 491 new threads dealing with Kerdi. 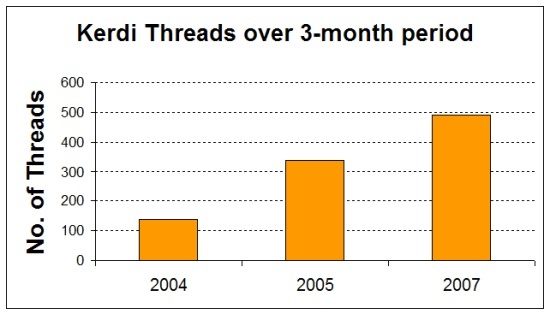 During the same 3-month time period in 2005 it was 336 new Kerdi threads. Then in 2004 that 3-month thread count was at 139. With this growth in interest there has also been quite a few posts from members working on plumbing rough-in while awaiting delivery of their Kerdi Drain. Where do I cut the riser? How big of a hole do I cut in the sub-floor? How much concrete must I chip out around the existing tailpiece (riser)? These are a few of the questions I've seen. Thus, the purpose of this thread is hopefully to answer these rough-in questions before this box arrives. 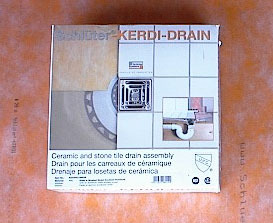 The remainder of this article will focus solely upon the Kerdi Drain. 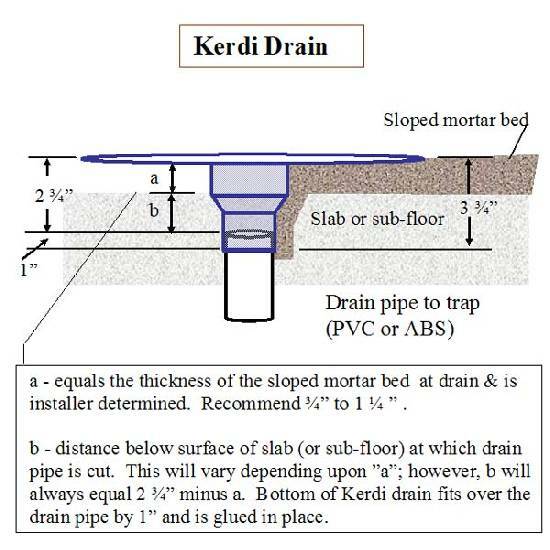 For detailed installation information with pictures on the entire Kerdi system, I encourage you to visit the On-Line store GO HERE and get yourself a copy of John’s new Kerdi eBook. ...and now, back to the Drain. A. 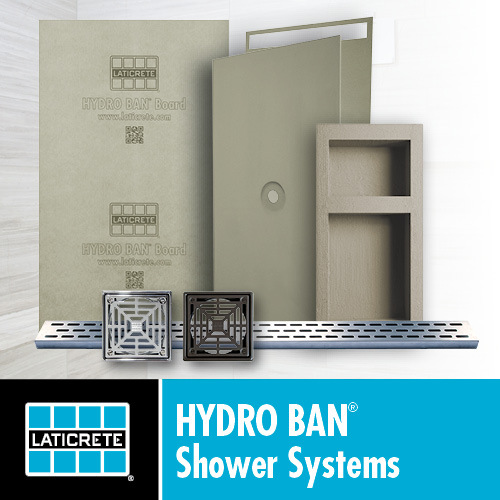 Make sure you order the correct Drain, PVC or ABS to match your plumbing. B. When cutting/chipping out the hole for the Drain ahead of time, even though the dia. 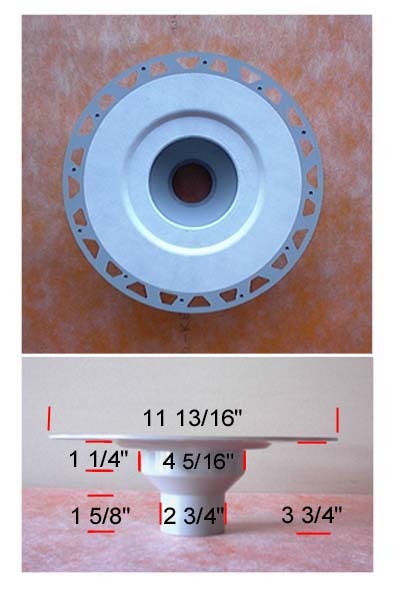 of the upper section below the flange is 4-5/16", give yourself some wiggle room and make the cutout closer to 5”. Filling the remainder of the hole around the drainpipe with deck mud as shown in the drawing above is recommended but not mandatory. 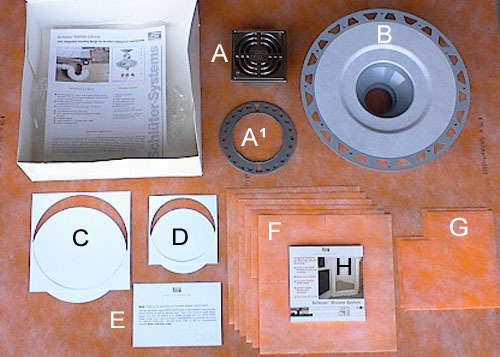 C.	If you find yourself in need to cut the tailpiece off below the surface with limited or no access from below, invest in an inside pipe cutting saw. 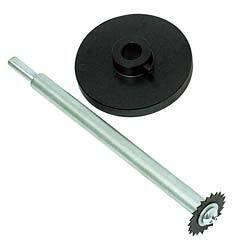 They can be found at most places where plumbing supplies are sold, priced in the $10 to $15 range and will fit into a regualar 3/8" drill. They are for plastic pipe only. This particular model has a depth adjustment collar attachment which can be slipped onto the shaft then locked into place with a set screw. The collar spins with the shaft and while "riding" upon the top of the existing pipe helps to insure a nice clean level cut all the way around. Good luck with your rough-in. edit: Link no longer works. These are widely available. Here's a link to one at Home Depot. Tip: plug the drain first. With a sponge or rag or something. These like to come loose and fall down inside!